Tickets costs £10. Cash on the day, please. See posters below for further details. This entry was posted in Uncategorized on February 2, 2015 by thebeaumontandfletcherproject. Director announcement: THE MAID’S TRAGEDY (March 2015). I’m thrilled to announce that Jonathan Busby will direct THE MAID’S TRAGEDY in March 2015. You can find out about Jonathan’s work and projects by clicking on the “Directors” tab on this website. This entry was posted in Uncategorized on January 6, 2015 by thebeaumontandfletcherproject. Director announcement: THE LOYAL SUBJECT (September 2015). I’m thrilled to announce that Kate De Rycker will direct THE LOYAL SUBJECT in September 2015. You can find out about Kate’s work and projects by clicking on the “Directors” tab on this website. 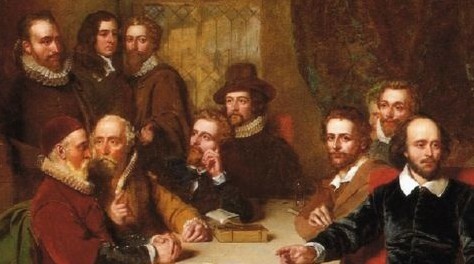 Actors needed for the first ever production of ‘The Beaumont and Fletcher Project’! 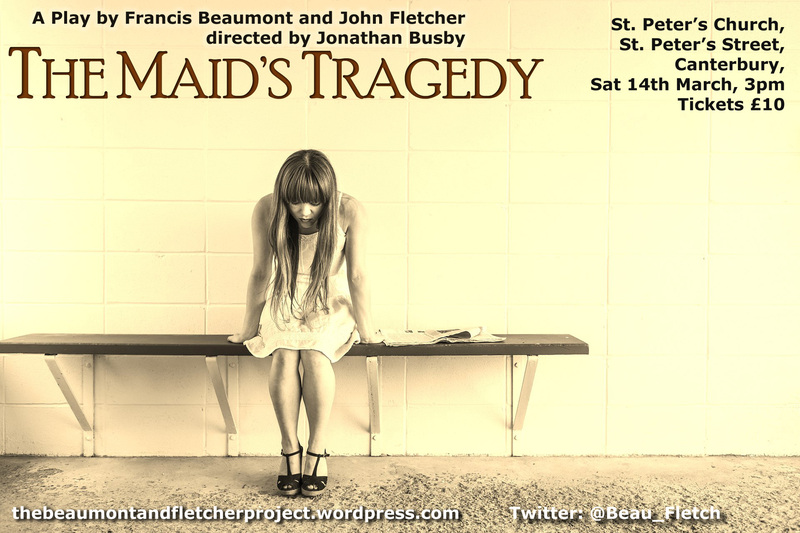 THE MAID’S TRAGEDY will be performed on Saturday 14th March. There will be a rehearsal on Friday 13th March, falling somewhere within the time slot of 3pm-9pm. (Exact time to be confirmed ASAP). There will be a rehearsal on the morning of Saturday 14th March before the play is performed in the afternoon. Saturday time slot of 10am-6pm. (Again, exact time to be confirmed ASAP). The performance will be filmed on DVD, and your headshot and bio will appear on the project website and on social media platforms as part of my aggressive (- in a nice way -) marketing of the project. I’m also planning to interview actors about their experiences of taking part in the plays and this will also go on the project website. On the Friday and Saturday, you’ll work with the director before performing the play on Saturday afternoon. And I’ll be there getting very excited on both days, as well! I’ve had a terrific response from a lot of actors already, but can I please ask for those of you who have already asked to be involved, to drop me a quick email once again, just to confirm your availability on the dates? Thanks in advance. This entry was posted in Uncategorized on January 3, 2015 by thebeaumontandfletcherproject. 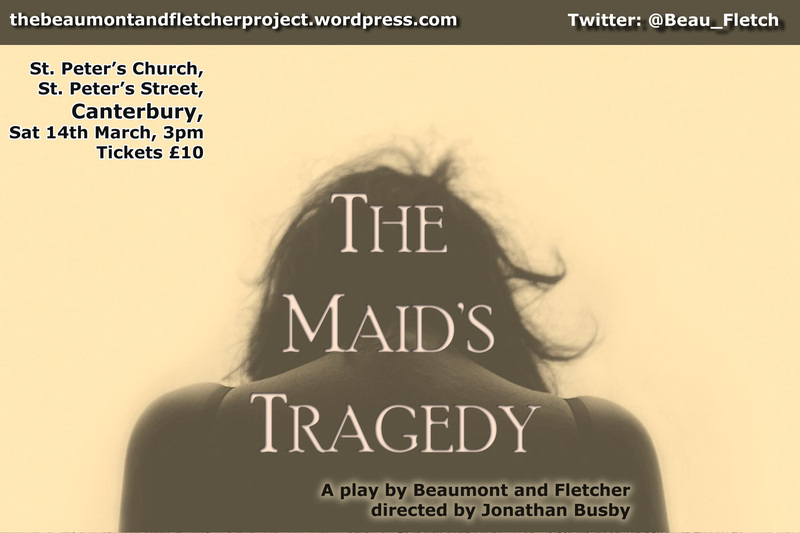 THE MAID’S TRAGEDY will be performed on Saturday 14th March 2015. ‘The Beaumont and Fletcher Project’ has its own Twitter account! You should follow: @Beau_Fletch for exciting updates and discussion of all things Beaumont and Fletcher related. I’ve shortened the hashtag to #bandflive – the other hashtag was rather unwieldy!